Happy Thanksgiving from MVD Express! Turkey with stuffing. Mashed potatoes and gravy. Ham and yams. Just thinking about all the food is sure to make anyone hungry. To us, Thanksgiving is about much more than just eating delicious food. It’s a time to come together with the people we care about most to give thanks for the experiences and things that we have been given. On this day, we want to say “thank you” to our community and employees who do so much for us every day. 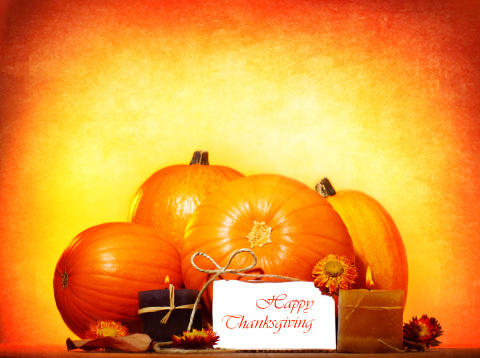 Happy Thanksgiving from all of us at MVD Express! As a company, we are thankful for the fact that we have excellent employees who do their best at work each day. They consistently go above and beyond their job descriptions to make sure that our customers get the very best service possible. We would not be where we are as a company without excellent employees. We are also thankful for the community that supports us. As one of a few providers of MVD services in New Mexico, we understand that you have options—but choose to work with us. To say “thank you”, we regularly participate in organizations that have a real benefit to the people in our community. Without our loyal customers, our business would not be nearly as successful. Thank you. All of our employees and customers have become as important to us as our own family members. On this holiday, we want to remind you to stay diligent while on the roads. Thanksgiving weekend is often cold and can leave the roadways wet or icy. There are also spikes in reckless driving all over New Mexico. Stay safe!